We meet weekly from September through June on Thursday evenings at 7:30 in the social hall below the sanctuary. We gather again on Sunday mornings at 9:15 am before the service for a brush up rehearsal in the sanctuary. The choir sings a wide variety of SAB and SATB music. In addition to music for the regular weekly service the choir plans special music for the other special services which take place during the church year. 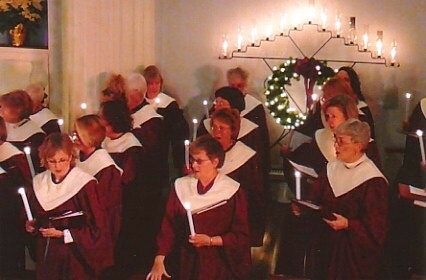 The annual Candlelight Christmas Concert is the favorite of the majority of choir members. This program has been a highlight of the Reformed Church year for over 75 years and is considered a kind of opening to the Christmas Season. Within a few weeks the Christmas season comes to a crescendo with the annual Christmas Eve Service. Preparations for the Candlelight Service and Christmas Eve begin in early October. We believe that you will find the choir a friendly and dedicated group. Our musical skills vary greatly but all enjoy singing with a traditional mixed chorus. If your music reading skills lag behind your love for singing, you should not hesitate to join the group. During the summer, the choir takes a well deserved vacation from its weekly responsibilities. If you enjoy singing solos or in small ensembles and wish to volunteer some special music, please contact us. Special music is welcomed and greatly appreciated. We invite, welcome and encourage you to come and try us out. Music in worship has always held a special place in my life. From early years at my home church in California, from teachers, mentors and fellow musicians, from both choral and instrumental performances over the years, the value of sacred music has become an inspiration. I look forward to working with the Senior Choir and sharing those special values. 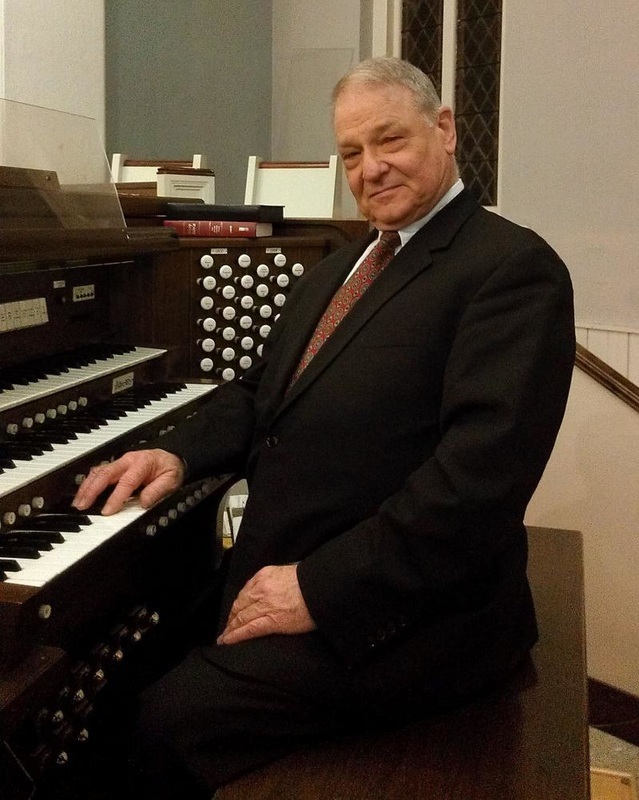 I am delighted to join with the staff and congregation, to support and continue the fine musical traditions of the Reformed Church of New Paltz.